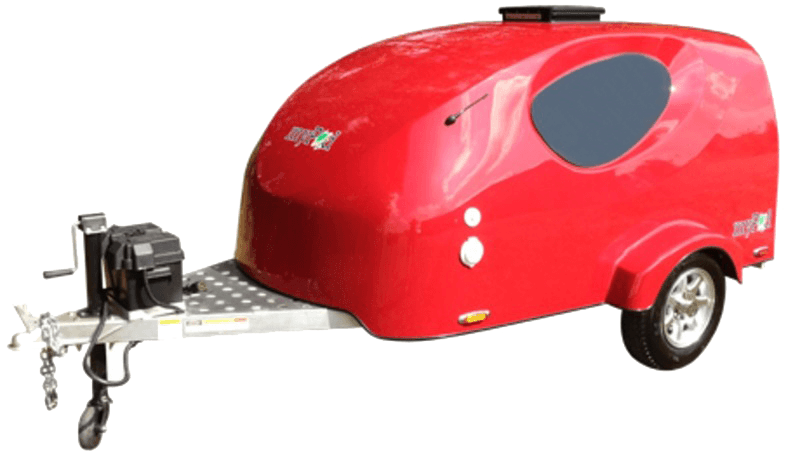 The MyPod Lite teardrop travel trailer from Little Guy has a 100% molded fiberglass body built on an aluminum frame. MyPod is perfect for towing by smaller vehicles and is great for camping in any kind of weather. Features include 13 inch alloy wheels, available 19 inch entertainment center, full size mattress, window shades, 3 speed fan, and installed AC.